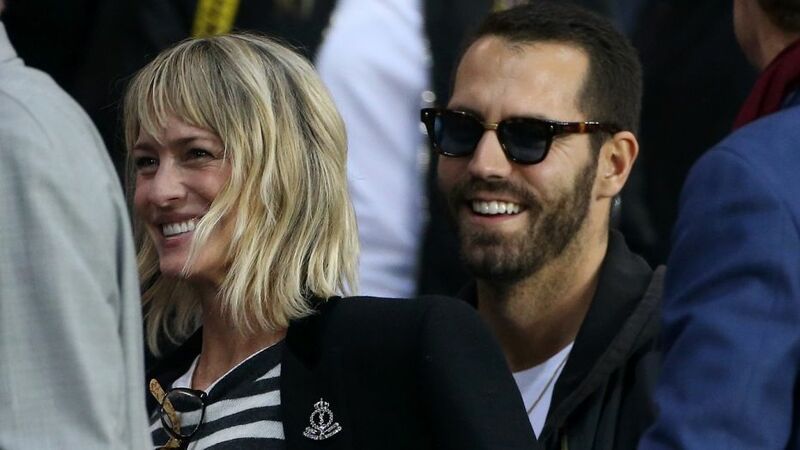 Robin Wright finds love again? Robin Wright may have found love again with rumored beau Clement Giraudet. The two were recently spotted in Tahoe City, Calif skiing and enjoying their holiday getaway. Giraudet is the VIP relations manager at couture French fashion house, Saint Laurent. According to previous reports, both Giraudet and Wright attended at the Cannes Film Festival back in May. Then, they were seen together in September at a soccer match during Paris Fashion Week. The “House of Cards” actress had reportedly been attending fashion week shows and when snapped with Giraudet, the fashion mogul was labelled as a “mystery man” by the press. Recently, Wright has shared several videos of her winter holiday at Squaw Valley via Instagram, where she and Giraudet are rumoured to be vacationing. Prior to her relationship with Giraudet, Wright was married to Academy Award winning actor, Sean Penn, with whom she had two children, Dylan and Hopper Penn. The couple were married in 1996 and divorced in 2010. Following her relationship with Penn, Wright became involved with much younger actor Ben Foster and was engaged to him until 2015, but they called the wedding off. Wright has since been in a five season on-screen relationship with TV husband, Kevin Spacey, on the hit Netflix series, “House of Cards.” But Spacey was fired in November following allegations that he sexually assaulted several young men. Now the actress will take the lead in sixth and final season of the Netflix show, which begins filming in early 2018.